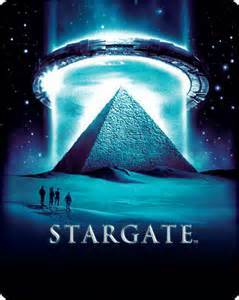 We are continuing with the Stargate Franchise as we celebrate the 20th anniversary of the movie which started it all. As I stated a few weeks ago, the second show in the Stargate Multiverse is titled “Stargate Atlantis”. The search for the city of Atlantis began in season 6 of Stargate SG-1. 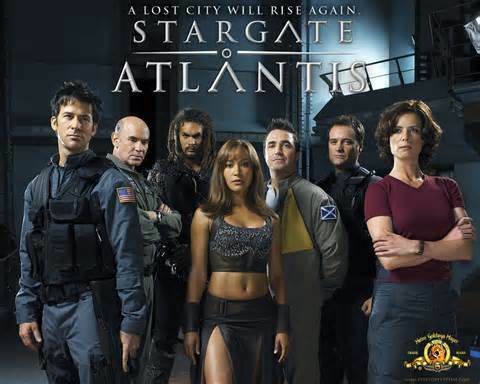 The seventh season finale “Lost City, Part 2” set up the new series by finally giving the SGC the coordinates for the Ancients city of Atlantis, located in the Pegasus galaxy. An international expeditionary team of military and scientists wwas through the Stargate to this extraordinary city. Within hours of coming through the gate, life got real interesting for all involved. First, though, let’s talk about what the city is and the main cast of the show. The Ancients came to the Pegasus Galaxy in their city ships several thousands of years go after they’d left their galaxy because of the Ori and later the Milky Way Galaxy (to escape a plague which was killing them). They settled on the planet of Lantea and became known as the Lanteans. The Lanteans began seeding the galaxy with humans and Stargates and stumbled upon a planet with an unusual and quite ugly bug. This bug, called the Iratus, began feeding on humans. In doing so, the offspring of the bug began taking on humanoid characteristics. Still seeking immortality, some of the Lanteans began experimenting by splicing the Iratus bug with humans. They started with 100 women and 100 men. Of those, only 9 females survived and 99 of the men. The women became the First Mothers. 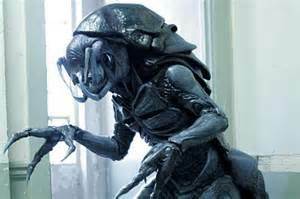 As with most insect species, the First Mothers became the Queens and birthed thousands upon thousands of these atrocities. Millenia later, thanks to evolution and Lantean interference, the Wraith, as we know and love them today, came into being. Able to live for thousands of years due to hibernation cycles, the Wraith would awake and begin feeding–on humans. Long story short a war ensued and the Wraith, having bigger numbers, ran the Lanteans out of the galaxy. In their departure, the Lanteans sunk the city and returned to Earth through the Stargate. And there the city lay until discovered by the Atlantis expedition team. Again, an ensemble cast makes up the team which was brave enough to enter the Stagnate wormhole and travel further than any human had yet. This series only lasted 5 years (sob, sob) and was supposed to have been followed up by a DVD/TV movie called “Stargate: Extinction”. Unfortunately, this series was put on indefinite hold. Dr. Elizabeth Weir (Torri Higginson) was a top international negotiator on Earth. At one point, she’d been brought in to head of the SGC when it was decided that they needed civilian management. Dr. Weir then became the top person that the IOA wanted as the head of the Atlantis expedition (should the city ever be found). Up to the task, Weir understood the importance of delegating to her people based on their strengths. Dr. Rodney McKay (David Hewlett) from Canada is the Chief Science and Research Officer and one of the more annoying characters. But you end up liking him in spite of that. Seriously smart, arrogant and whiny, Rodney is the reason the team tends to get out of a few scrapes. Oh, and his first name is Meredith. Dr. Carson Beckett (Paul McGillion) from Britain by way of Scotland is the Chief Medical Officer and becomes Rodney’s best friend. Teyla Emmagan (Rachel Luttrell) is the Atlantis Liason between the humans and the rest of the Pegasus galaxy. 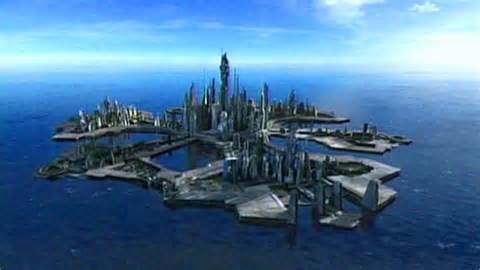 Teyla’s people, the Athosians, are the first citizens of the galaxy that the First Atlantis Reconnaissaince Team meets. During this meeting, her people are attacked by the Wraiths. Some humans and Athosians are taking hostage. This crisis leads to the awakening of the entire Wraith race. Ronan Dex (Jason Momoa) first came to the new Atlantan’s attention in season 2. While searching for one of their own, the team runs across a dead Wraith on a forest planet. They not only find their missing team member (you’ll have to watch the series to find out who he was and why he was missing), they also meet Ronan. The Wraiths placed a tracker in him so they could use him as sport to hunt. He turned the tables on them and survived on the planet hunting them. There are several other cast members in the show, as well. A few of my favorites are Dr. Radek Zelenka (David Nykl), Major Evan Lorne (Kavan Smith) and Colonel Steven Caldwell (Mitch Pileggi). Join me next week when I introduce you to a few of the interesting enemies that the Atlantis team encounters in this new galaxy. Some of them you’ve already met. Lt. Ford: How could something as big as Atlantis just sink? Maj. Sheppard: I’m sure the passengers on the Titanic were asking themselves the same question.